This BOD section should be used for 1) rehab projects to guide Architects, Engineers, and Development staff, and 2) during system replacement to guide maintenance staff. Modifications to existing cooling equipment present significant and uncommon opportunities to increase cooling system efficiency and reduce utility costs. When planning a major rehabilitation, it is important to assess the condition of the existing heating and cooling equipment and distribution systems. If the existing systems are failing, the possibility of converting to heat pump technology should be considered. Projects shall evaluate removing existing cooling systems and installing a new central heat pump system with heat recovery (VRF-HR). For requirements on heat pumps, see the Heating + Cooling: New Construction section of the Basis of Design. 1. If the building has baseboard heating: install new through-wall AC units in a panel fixed within the window frame. See the AC Units and AC Cover sections of the Basis of Design for more information. 2. 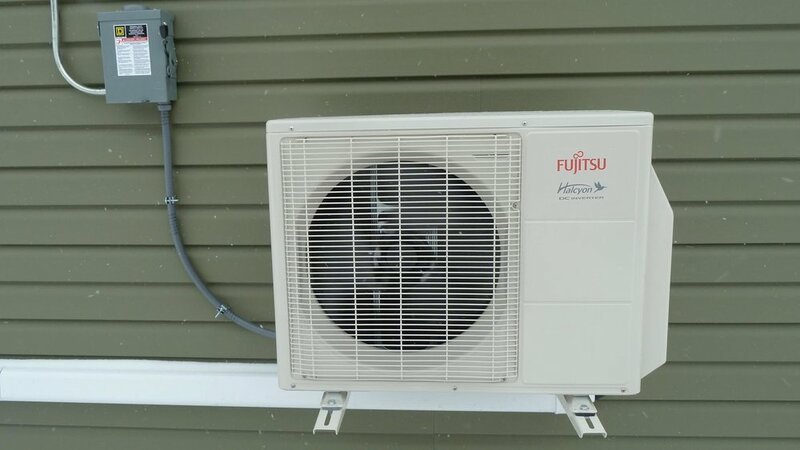 If the building has forced hot air heating: install new AC compressors that can supply existing heating ductwork with cooling during summer months. 3. Incorporate cooling (and dehumidification and off-season heating) through an integrated in-unit ventilation system e.g. Minotair. 1. See the Thermostat section of the Basis of Design for more information. Note: Through-wall ACs and PTAC units will not include separate thermostats. Section includes general and specific requirements that apply to the implementation of commissioning process for HVAC&R systems, assemblies, and equipment. 2. Systems to be Cx. 3. Project team contact list, Cx roles and responsibilities of team, general management plan, communication protocols. 4. Summary of Cx process, schedule for Cx activities. 5. Documentational requirements. Plan for delivery and review of submittals, systems manuals, and other documents and reports. 6. Process and schedule for completing construction checklists and manufacturer's prestart and startup checklists for HVAC&R systems, assemblies, equipment, and components to be verified and tested. 7. Certifications: installation, prestart checks, and startup procedures have been completed. Ready for testing. 8. Verification of testing, adjusting, and balancing (TAB) reports. 9. Sample Issues Log and Corrective Action document. Section includes commissioning process requirements for HVAC&R systems, assemblies, and equipment. Section includes commissioning process requirements for BAS. Section includes commissioning process requirements for plumbing systems, assemblies, and equipment. Section includes commissioning process requirements for electrical systems, assemblies, and equipment. Convert AC compressor to a heat pump compressor. Take into account the reduced loads (building enclosure upgrades) resulting from the renovation. Compressors should be placed away from windows and outdoor patios, and should be easily accessed by maintenance. Compressors should be installed on stands a minimum of 18 inches off the ground or roof. Any/all refrigerant lines should be covered/protected. Landscape plans should include a visual barrier of compressors without interfering with operation or access by maintenance. 1. Confirm the electrical panel has adequate amperage available to serve the new heat pump. If amperage is limited, the system will be duel-fuel and the heat pump heating capacity will be determined by the available amperage. If the system is duel-fuel, the heat pump will lock-out at low temperatures (based on available amperage), at which point the furnace will turn on. SEER and HSPF as required to meet ENERGY STAR requirements. Calculate heating and cooling loads according to ANSI/ASHRAE/ACCA Standard 183 and size equipment not greater than these loads. See the Heating: Existing Construction section of the Basis of Design.